Yes, there is a Las Vegas Underground Home and it is listed for sale. Most likely it's one of the most unique properties you'll probably never see. To tour the home as a buyer, your Las Vegas buyer's agent will understandably need to provide your qualifying financials for the $1.7 million asking price. Of course if you read on, I'm able to give you a sneak peek of this home right here. This home is truly a bargain, considering there have been estimates that it cost around $10 million to build in 1978, and a 2316 square foot 2 story caretaker home was later added above it, on the home's 1 acre lot. Clark County records show the home as having a 15,187 square foot 'basement', where the really unique features lie, an actual home and yard that is within that space. These records show a total square footage of living area as 16,936 square feet, making the list price equal a real bargain basement price of $100 a square foot. Oddly enough, when I add those county numbers for 1st and 2nd floor with the massive basement, it turns out to be a total of 17,503 square feet, which if correct, could make that cost per square foot even a tad bit lower. 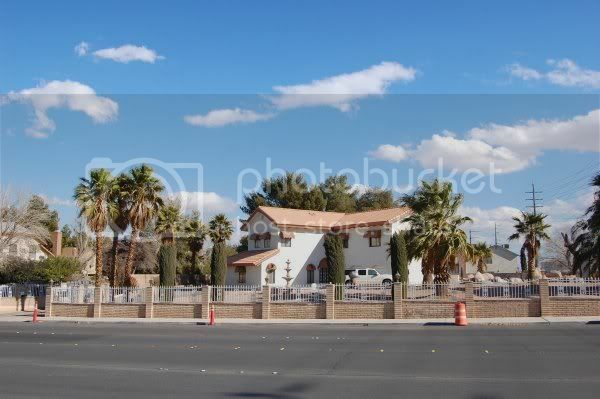 A few years ago I wrote about this home as The Vegas Underground Home Market, and you can find some more interesting history about the home and it's builder Girard Brown Henderson, at that posting. Jerry was an entrepreneur and philanthropist who pioneered cable TV in the 50's, was a board member of Avon, and Chairman of Gulfstream Aviation, just to name a few of his many accomplishments. Jerry had a bit of an obsession with the concept of underground living, said to be brought on by the cold war. He debuted his subterranean living concept with a model displayed at the 1964 New York World's Fair, but it obviously never really took off. Still, that didn't stop him from having his own. I originally wrote that previous story to help clear up some of the many myths and misunderstandings circulating about this Las Vegas Underground Home, and because I was surprised that so many living in Las Vegas didn't even know it existed. After my story went online, I was receiving calls and emails from perspective underground home buyers, but unfortunately the underground Las Vegas home wasn't available for sale, until recently. I had also been contacted by a member of the former owners group, and I received calls and emails from everything from TV shows to Corporation Event Planners that were interested in this unique home. So it's story obviously worth telling, both then and now. So let me again clear a few up items right now. Was this the hidden lair for 'The Secret Society of a City Built on Live Entertainment', The Vegas Underground, a group of celebrities and entertainers living in Las Vegas that I've also written about? Well those friends of mine do often turn up in Google searches for the Vegas Underground Home, and as much as this would be a fantastic place for them to gather and jam, for what has become known as 'The Rat Pack of the Next Generation', or conspire with their evil agenda to give back to our local community, sorry, but no. Oddly enough, another story floating around involving Las Vegas entertainers is that this was the secret Las Vegas underground home that was built for Frank Sinatra, Dean Martin, Sammy Davis Jr., Joey Bishop, Peter Lawford, and the rest of the original Las Vegas Rat Pack crew. Some had the story going as far as the home being located under the Vegas Strip and beneath a casino, and this band of Vegas Celebrities would easily disappear into it through a hidden door. As you can see from the picture the home isn't located below a Las Vegas casino, and wasn't built until 1978, well after the prime heyday of the Rat Pack. That construction date also eliminates some internet reports or online video that claims the home was built in the 60's due to the cold war. Yes, that is the time period was when Jerry had his original inspiration, but not when built. Still, there is something else I wonder about...if this particular underground home was itself the inspiration for the comedy movie Blast From the Past, about living in an underground home from the fears of the cold war of that time. Maybe this movie is how that rumor got started, and just wasn't the case. Neither was the tale that this was the secret underground hideout for the Vegas mob. While I'm sure they wanted to keep a low profile, they didn't build it. It always was built as Jerry Henderson's Las Vegas Underground Home. Now back in the day the rumors that some of the mob associates were given 'permanent underground homes' somewhere out in the desert, that might be possible. Now imagine for a moment the one story about the actual owners, Girard Henderson and his wife Mary, before that caretaker home was built on the surface above. It was said that after one of their many nights on the town in Vegas, you might spy a very distinguished couple that would pull up to a large walled vacant lot in their convertible. The iron gate would slide open and they would pull in with the gate sliding closed behind them...and then they'd silently disappear into the night. That would be true. Where on earth did they vanish? They slipped into an elevator then hidden in a large boulder that whisked them roughly 25' underground into another world. It's much more than you would imagine from the thoughts of being in a concrete bunker said to be 10" thick. I've seen only one of those at another Las Vegas home listed for sale, and trust me, it wasn't anywhere near the same as this one. Not even close, just a basic concrete room with a steel door. In the Henderson home the climate controlled environment was an escape from desert heat or cold. The custom lighting system is able to simulate what would be occurring in the outside world. The many creature comforts include pool and spa, and all surrounded by 'grass' and 'trees'. That is completed with hand painted scenic murals all around, that took a live-in artist three years to complete. You can entertain guests in this quiet escape shielded by the earth, and cook up some barbecue on a grill disguised as a large boulder. Guests spending the night have their own casita separate from the three bedroom main house. Inside were many more amenities you would expect to find in a luxury Las Vegas home of the time, only all of this is all well below street level. That is my written look into the mysterious and mythical Las Vegas Underground Home, and I thank Winston King of Kingly Properties for being able to share it with you. Now what about that actual peek inside. Let me show you something that has also slipped under the radar, a video tour of the Las Vegas Underground Home as currently listed for sale. It truly is an amazing one of a kind home, isn't it? The ideal escape from the rest of the world and privacy for an executive or celebrity. I hope you enjoyed the little bit of history both here and in my previous underground home post, and this video tour of the Las Vegas Underground Home, one of the most unique homes of Las Vegas and quite possibly the world. It's been my pleasure to be able to show it to you. As a knowledgeable Las Vegas Buyer's Agent I can assist you in purchasing your own Las Vegas area Home, even the ones that are above ground, for your family, vacation, retirement, or investment. 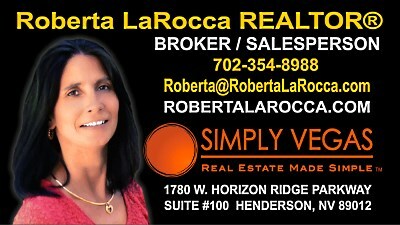 Acting as your Las Vegas Listing Agent I can also assist you with marketing and selling a Las Vegas home. For any of the above, please don't hesitate to get in touch. 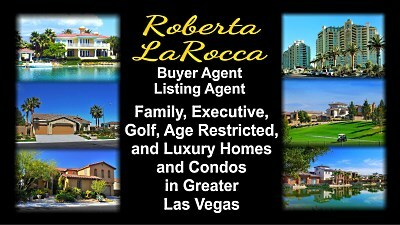 I can be reached at Roberta@RobertaLaRocca.com or call 702-354-8988. I look forward to hearing from you!